Defining democracy is a notoriously difficult thing, but much is revealed by how media outlets choose to do so. One popular metric is called “Polity IV”—a methodology created by the Center for Systemic Peace, headed by Dr. Monty G. Marshall of Georgetown University, which has been cited in prestigious outlets like the Washington Post and New York Times. But few outlets have embraced the method as enthusiastically as the “news explainer” site Vox. Many people associate the state with bureaucracy or even repression, and have no time for current politicians. But the state also looks after us – in hospitals, schools, social services – and could enable us to better control unscrupulous business and banks. Can we imagine a more responsive state? This week, after months of resistance, the Government was forced to concede that Part 2 of its Lobbying Bill cannot proceed through Parliament without a pause to consult the civil society organisations which will be affected by it. When someone with interesting things to say is granted a high-profile media platform, it is wise to listen to what is being said and ask why they have been given such a platform. Comedian and actor Russell Brand’s 10-minute interview by Jeremy Paxman on BBC’s Newsnight last week was given considerable advance publicity and generated enormous reaction on social media and in the press, just as those media gatekeepers who selected Brand to appear would have wished. On September 18, hip-hop artist Pavlos Fyssas, a.k.a. Killah P, was stabbed outside a bar in Keratsini, Greece. Larry Summers has an air-tight alibi. But I don’t believe it. 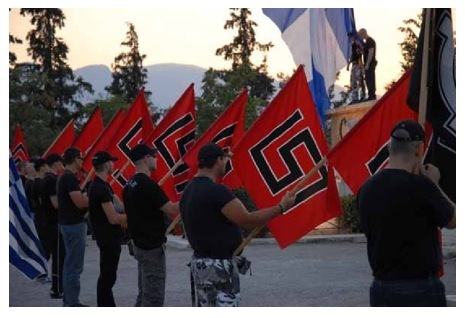 Larry didn’t hold the knife: The confessed killer is some twisted member of Golden Dawn, a political party made up of skin-head freaks, anti-immigrant fear-mongers, anti-Muslim/ anti-Semitic/ anti-Albanian sociopaths and ultra-patriot fruitcakes. Think of it as the Tea Party goes Greek. Video: What's Putin's Interest In Syria?